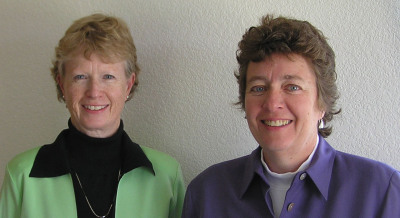 Cindy and Penny have been correctional education consultants since 2004 when they recognized they could achieve more as a team than individually and launched Northstar. Following many successful years as instructors and administrators, they now seek to influence policy while still impacting the lives of students. Cindy Borden and Penny Richardson prefer roads less traveled. After 20 years as teachers and high school principals in both public and prison schools, they spent a year bicycling through 15 countries of Europe where they enjoyed a true education! Returning with a renewed passion for correctional education, they are eager to assist you in the quest for excellence. 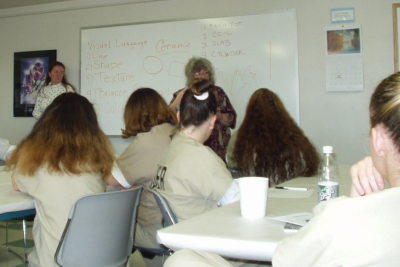 Cindy moved into Idaho’s correctional education where she taught English, journalism, and art. Later, she created and managed a successful evening school staffed entirely by civilian volunteers. From there she earned her Masters in Education Administration and became principal of four prison schools in southwest Idaho. Her colleagues value her ability to manage complicated personnel matters with straightforward professionalism, balancing compassion with compliance. Cindy earned a reputation nationally for designing innovative and effective programming for offenders with a particular aptitude for streamlining processes. Her background in journalism and art make her a creative problem solver and detailed observer. Cindy served as Presidential Assistant for the State Directors of Correctional Education in Washington, D.C. and President of the Idaho Coalition for Adult Literacy addressing Idaho’s legislature on literacy issues. between U.S. and European incarceration rates. Penny has over 20 years experience in both public and correctional education. As the administrator of Outreach Programs throughout Idaho’s prison system she developed the Business Education/Technology program and coordinated statewide distance learning. Penny’s work on technology earned her the respect of educators nationwide at the Correctional Education Association’s forum. Her colleagues praise her ability to maintain morale and productivity by hiring the best people available and coaching non-productive personnel to success. Penny earned a Masters in Education Technology and has an extensive background in both female and male prisons, developing new programs and managing federal grants. Penny received the Idaho Correctional Education Association’s Cutting Edge Award for Excellence, and a Proficiency Award in recognition for developing and delivering parity programs between men and women.